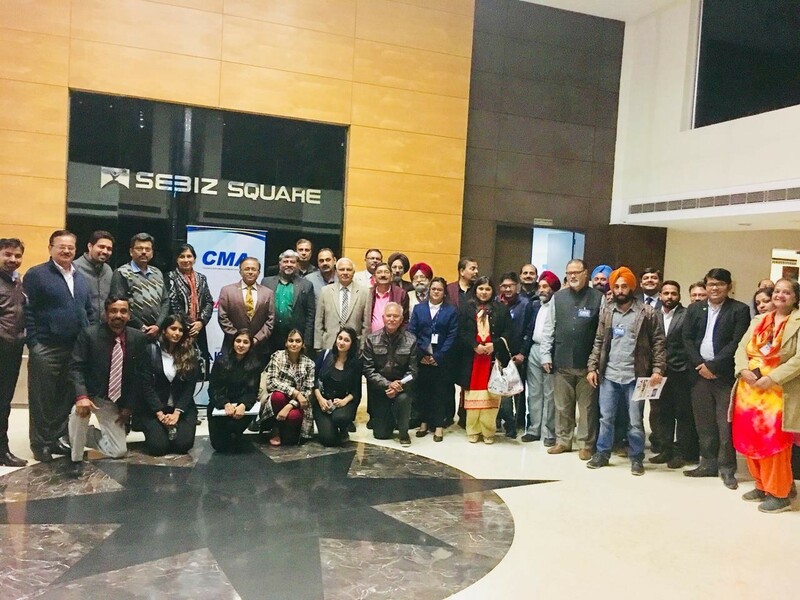 CMA organised a session on Climate Change & Sustainable Environment Management at Amity Global Business School, Mohali on February 3, 2018. The session was conducted by Mr. Aditya Pundir, Country Manager, The Climate Reality Project, India for the CMA fraternity and students of Amity Global Business School. President CMA, Mr. Deepak Dhingra, in his welcome address emphasised on sustainability as a challenge because of increasing concern over climate change. He stated that finding a healthy equilibrium between human adaptation and natural evolution is a joint responsibility of science, society and businesses. The speaker Mr. Aditya Pundir visually presented the threats and challenges of climate change issues and discussed solutions to curb this global havoc. The ill effects of green house gas emissions, extensive use of fossil fuels, industrial pollution, damage to biodiversity including extinction of wildlife species were major threats discussed. On a positive side the solutions like use of renewable energy resources at both domestic and commercial fronts, use of innovative technologies, global agreements amongst countries like that in Paris and climate change awareness talks were stressed upon. Mr Aditya also shared the UN’s 17 sustainable development goals (SDGs) and their role to solve the climate change problems. The talk was followed by a question and answer session where the CMA members and Amity students participated by sharing common solutions along with the best practices being adopted at the ground level. Around 35 CMA members and 25 Amity Students / Faculty attended the session.